Run a search, and filter your Tables, Views, etc. with powerful search. 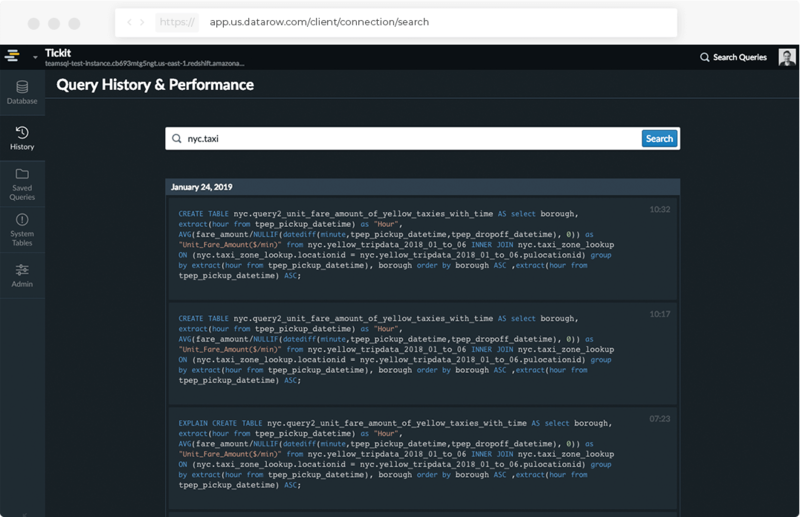 When you’re working with your Redshift, you can use DataRows’s powerful search functionality to find what you need. In addition to running an actual search, you can filter your Tables, Views, Stored Procedures and Functions listed in the navigation area to the left of your query execution window and data grid. Powerful search functionality means that searching in the cloud is as easy as searching on your computer.